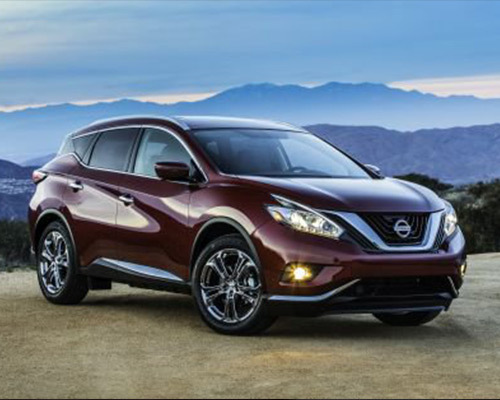 With the newest Murano, Nissan went above and beyond to meet the wishes of potential buyers throughout Orlando FL seeking a finer automobile to upgrade their daily travels. Every part of this premium crossover, most notably the restyled outside design, plush inside, and cutting-edge technological conveniences, delivers on providing the refined driving experience you desire. Does the prospect of adding these deluxe accommodations to your life have you wanting to know more? If so, continue along as the knowledgeable team at Universal Nissan discusses in detail the many benefits of buying or leasing an all-new Murano that rivals luxury automobiles. Hitting the road in style becomes part of your routine with Murano’s blacked-out rear pillar emphasizing the sleek floating roof design, aggressive front end showcasing a deeper V-Motion grille, and distinct LED headlights integrating signature LED daytime running lights. Plus, the sweeping boomerang taillights remodeled into a compact shape (still delivers the same amount of visibility) add to leaving a lasting impression on all other Orlando drivers that will certainly admire your intriguingly stylish new Murano from front to back. The open, lavish cabin layout of Murano lets you and your fellow travelers take full advantage of all the extras included in a comfy atmosphere. As a recent upgrade, available semi-aniline leather offers soft and cushy seating places for both rows to delight in beautiful views of the sky through a Power Panoramic Moonroof and the relaxing glow of accent lighting. A Dual Zone Automatic Temperature Control incorporating in-cabin microfilter enables front-row occupants, who can make use of an eight-inch (in.) touchscreen monitor located in the large center console, to adjust climate settings separately for just the right amount of air. Beautiful dark wood tone accents or metallic trim and a curvilinear dashboard complete the inside appeal, as well. 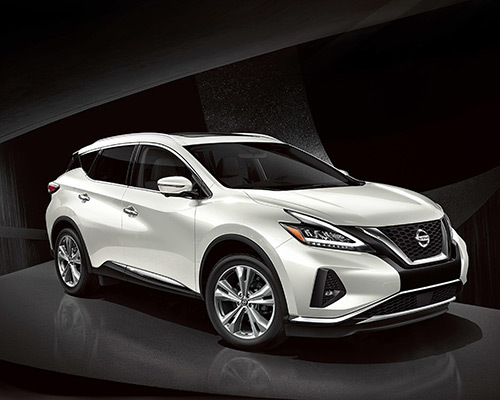 The latest Nissan Muranos for purchase or lease from Universal Nissan help you own the roadways of Orlando FL by running on a 3.5-liter (L) DOHC 24-valve V6 engine that puts out 260 horsepower (hp) and a drag coefficient of 0.31, which is similar to several sports cars. The potent synergy of an Xtronic Continuously Variable Transmission (CVT), power steering instantly adjusted based on your speed, rigid stabilizer bars, and four-wheel independent suspension enables you to smoothly accelerate quicker, zoom through turns, and lessen bumpy areas. Additionally, available Intelligent All-Wheel Drive produces the appropriate grip you need to confidently travel on any type of surfaces and optimize fuel efficiency. Before rubber meets the pavement (or any other pathway), conveniently turn on the engine from a total of 100 feet away and set the inside of Murano SV to your preferred temperature using the Remote Engine Start System with Intelligent Climate Control. Also, a steering wheel and shift knob wrapped in leather and 10-way power driver’s seat that includes two-way power lumbar support enhances the comfort of this variant. You will feel completely ready for longer drives and whatever journeys you plan in the future thanks to Murano SL’s leather-appointed seats, silver roof rails, power heated outside mirrors containing LED turn signal indicators, and Nissan Door to Door Navigation with real-time Premium Traffic. Moreover, each passenger can hear songs playing in crystal-clear form through the Bose Premium Audio System containing 11 speakers and dual subwoofers that create a concert hall atmosphere. All throughout the year, stepping into your Murano Platinum brings elevated coziness. Staying comfortable from the moment you head out is all because of fine features like a heated steering wheel, front seats that increase how warm or cool you feel at the press of a button, and semi-aniline leather seating integrating diamond-quilted inserts. Additionally, 20-in. dark hyper silver aluminum-alloy wheels and a Power Panoramic Moonroof operated by one push place attention on your posh crossover. While you are out on the road, a redesigned Murano purchased or leased at Universal Nissan gives you multiple ways to utilize tech amenities to your advantage. Linking a compatible smartphone lets you access hands-free Bluetooth calling and text messaging assistant, assorted apps on the eight-in. touchscreen monitor, and other voice-recognition functions. Plus, the optional navigation system can send walking directions to your phone if you have to park further away, so you always know the right route to take. 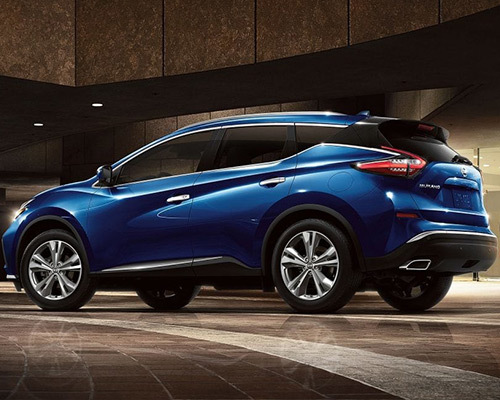 You never need to worry about viewing certain details behind the wheel of your new Murano. A color, seven-in. Advanced Drive-Assist Display shows caller ID, titles to music tracks, tire pressure, safety aid alerts, and so much more on individual screens you flip through utilizing steering-wheel-mounted controls. This enables you to simultaneously stay informed and maintain a close watch on surrounding traffic. Whether you are at the maximum numbers of passengers and light on luggage or require extra room for lots of cargo, the most recent Nissan Murano has the flexibility to meet your needs. Carry longer, larger items by folding just one of the 60/40-split rear seats down or expand storing room to 70 cubic-feet (cu.-ft.) when you flatten out both. Plus, levers in a reachable spot and an optional Motion Activated Liftgate that works by the rear bumper sensing your foot underneath makes loading considerably simpler. Clearly, Nissan Murano goes above and beyond to make sure you are totally comfy and secure as you navigate the avenues in Orlando. Join others in relishing the copious luxuries of owning a premium crossover after you visit Universal Nissan to purchase or lease the Murano model you want.